If you want to know how muscle hypertrophy (growth) really works and how to gain muscle faster, then you want to read this article. You’ve probably heard many things about muscle hypertrophy (growth). Things you’ve picked up in bodybuilding magazines, gym locker rooms, and supplement stores. Muscles responds differently to different types of training (size vs. strength). Muscles don’t know weight–they only know tension. There are different types of muscle growth and some are “better” than others. And you’ve also probably heard that most of that is pseudoscientific nonsense, and that some other theory or model altogether is the real “secret” to gaining size. Well, if you’re confused…and if you just want to know what works and what doesn’t…I understand. I mean…we’ve mapped the human genome but still argue about how to best make our biceps bigger? The bad news is muscle hypertrophy is a complex subject and something we don’t fully understand just yet. The good news, though, is we don’t need to be scientists to grasp the basic principles of muscle growth and use them to get outstanding results. And that’s what this article is going to be all about. In it, we’re going to break down in layman’s terms the fundamental mechanisms of how muscles grow. And then we’re going to outline some simple but effective guidelines on how to get our muscles to grow faster. So if you’re having trouble gaining muscle as quickly as you’d like, this article is for you. By the end of it, you’ll know exactly what’s holding you back and what to do to make the type of gains you really want. Is Heavy or Light Weightlifting Best for Hypertrophy? How Frequently Should You Train a Muscle Group? Hypertrophy is simply the increase in size of an organ or tissue through the enlargement of the cells that comprise it. You don’t have to dig too deep into the theory of muscle building before you hear these terms. And you don’t have to read much before your head is spinning and you don’t know what to believe. Are these phenomena real? Are they significant? Does it have any relevance to our training? Let’s start with myofibrillar hypertrophy. 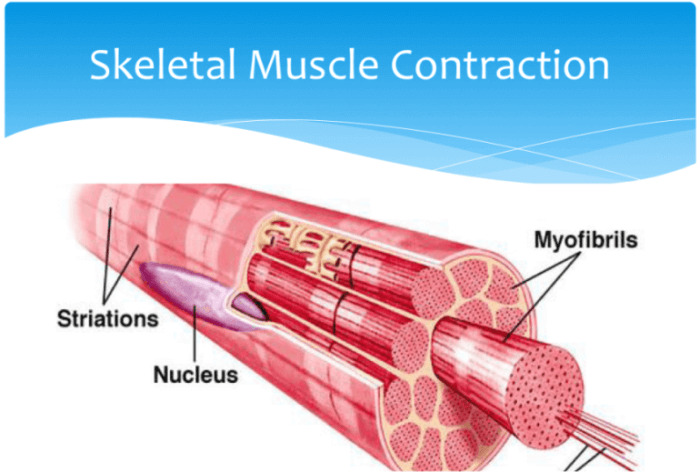 Myo means “muscle” and a fibril is a threadlike cellular structure. Myofibrils are made up of proteins that can contract and are what allow muscles to function as they do. Each muscle fiber contains many myofibrils. Myofibrillar hypertrophy, then, refers to an increase in the size and number of myofibrils in muscle fibers. This increases the force with which muscles can contract. Sarco means “flesh” and plasmic refers to plasma, which is a gel-like substance in a cell containing various things vital to the maintenance of life. Thus, sarcoplasm is the plasmic elements of muscle cells, and it includes proteins, glycogen, water, collagen, and other substances. As you can deduce, then, sarcoplasmic hypertrophy is an increase in the volume of the fluid, non-contractile components of the muscle (the sarcoplasm). Now, few well-informed people dispute the fact that these things occur. We know that muscle fibers gain myofibrils and that this causes a necessary expansion in the sarcoplasmic elements of muscle cells as well. 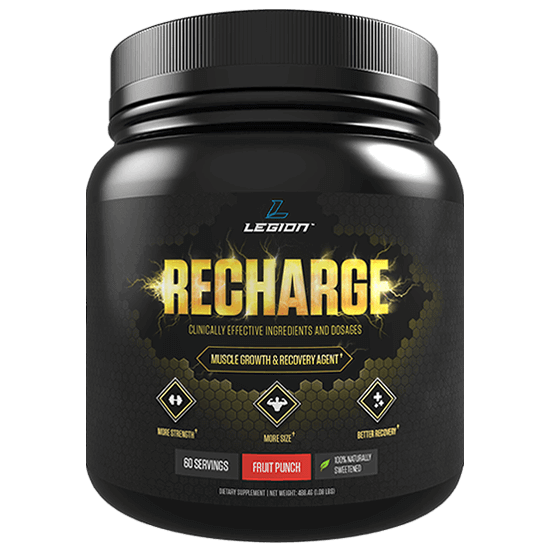 We also know that you can temporarily increase sarcoplasmic volume by doing things like loading creatine, eating carbs, or damaging the muscle tissue. Where opinions diverge, though, is on the subject of selectively influencing one type of hypertrophy over another through training. That is, can you expand the sarcoplasmic elements of muscles faster than the myofibrillar elements? Or is it more a “byproduct” of myofibrillar hypertrophy? And if you can, does that result in long-lasting increases in muscle size? And this is where the fog of war sets in. Research suggests that selective hypertrophy is a myth but we just don’t know enough yet to microwave an answer. Some people think the difference in the size and strength of bodybuilders and strength athletes is evidence that sarcoplasmic hypertrophy can occur independent of myofibrillar hypertrophy. “How else can you explain a 170-pound powerlifter that can out-squat a 230-pound bodybuilder?” they ask. One answer is, through a different style of training, bodybuilders have been able to stimulate more sarcoplasmic hypertrophy, which would increase muscle size but not strength (the sarcoplasm of a muscle cell can’t contract). Thus, you could have someone disproportionately big for their level of strength. The problem with this line of reasoning (which has spawned the “hypertrophy rep range” myth that just won’t die), is it’s not borne out by science and it overlooks a simpler, more plausible explanation. Namely, the fact that strength training doesn’t just involve heavier weights than bodybuilding–it also involves squatting, bench pressing, military pressing, and deadlifting much more frequently. This is important because, as with any physical activity, the more frequently you perform an exercise, the better you get at it. And the better you get at an exercise, the better you can handle heavier weights. This helps explain why many bodybuilders rapidly gain strength when they switch to strength training programs. All of a sudden their “big-but-weak” muscles get really strong, really fast. That said, this isn’t conclusive evidence that selective hypertrophy doesn’t exist and that sarcoplasmic hypertrophy can’t outstrip myofibrillar hypertrophy due to training variables. We just don’t have hypertrophy well enough taped to completely rule out the possibility. The good news, though, is you and I don’t have to worry about it to build muscle effectively. We can know enough to build workout routines that get the job done quite nicely. Now that we’ve learned why hypertrophy is, let’s talk about how to make it happen. That is, how to build muscle (and fast). This refers to increasing tension levels in the muscle fibers. The most effective way to do this is to increase the amount of weight you’re lifting over time. This refers to actual damage caused to the muscle fibers (“microtears”). This damage must be repaired and if the body is provided with proper nutrition and rest, it will adapt to better deal with what caused the damage. This refers to working muscle fibers to their metabolic limits through the repetition of actions to muscular failure. You can think of these as muscle growth “pathways,” and they can be heightened or lessened by how you train. For example, heavy weightlifting emphasizes progressive tension overload and muscle damage. Working with lighter weights and higher rep ranges, however, emphasizes metabolic stress (and especially when the rest times in between sets are relatively short). Research shows that out of each of these pathways, progressive tension overload is the most important for muscle growth. In other words, if you want to build muscle as quickly as possible, you want to ensure you’re progressively adding weight to the bar over time. That’s why one of your primary goals as a natural weightlifter is getting stronger. And especially on exercises like the squat, deadlift, bench press, and military press in particular (but that’s another article). I learned this lesson several years ago. I looked “okay,” I suppose, but I expected more from seven years in the gym. A huge improvement, if I may say so myself, but I wanted to gain a bit more size and bring up what I felt were still weak points (my shoulders and lats in particular). And better still, I did it all in just 4 to 6 hours in the gym each week as opposed to the 10 to 12 hours per week I used to put in. Now, I was slightly baffled by my transformation because I had assumed that heavy weightlifting is good for building strength but not muscle. Well, that’s just one of many muscle building myths that keep people from having the bodies they truly desire. This is another hotly debated topic in bodybuilding. Opinions are all over the place and a glib review of the literature (abstract surfing) turns up nothing but a hairball of contradictions. Well, I’m not claiming to have “the” answer, but I’ve done a lot of studying and have worked with a few thousand people, and I feel I have an answer worth sharing. If you want to maximize muscle growth, you want to emphasize training with heavy loads and a moderate volume. And by “heavy loads,” I’m referring to 80%+ of your 1RM and by “moderate volume,” I’m referring to the total number of sets performed each week (we’ll get to specific numbers in a minute). A good example of this approach can be found in a well-designed study conducted by scientists at the University of Central Florida. One that did 4 workouts per week consisting of 4 sets per exercise in the 10 to 12 rep range (70% of 1RM). Another that did 4 workouts per week consisting of 4 sets per exercise in the 3 to 5 rep range (90% of 1RM). As you can see, the first group followed your standard high-volume, moderate intensity “bodybuilding” routine. The second followed a moderate-volume, high-intensity protocol akin to many strength programs. Both groups did the same exercises–bench press, back squat, deadlift, and seated shoulder press–and were instructed to maintain their normal eating habits, which was monitored with food diaries. 1. Higher amounts of mechanical stress imposed on the muscles. The high-volume training, on the other hand, caused higher amounts of metabolic stress. 2. 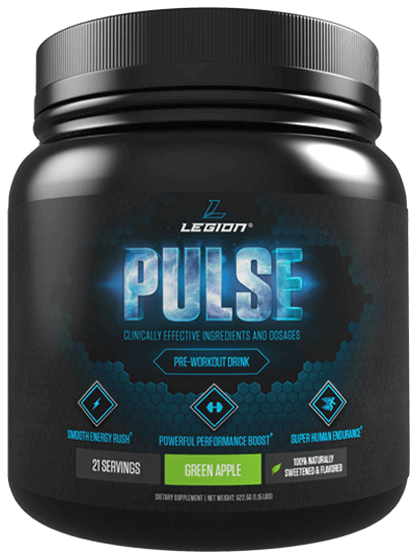 Greater activation of muscle fibers. And this, in turn, stimulates a greater adaptation across a larger percentage of the muscle tissue. Similar results can be seen in other studies as well, and I’ve seen it play out time and time again in the thousands of people I’ve worked with. If you want to avoid dreaded muscle gain plateaus, you want to do a lot of heavy weightlifting. You’ve probably heard that training frequency is like protein intake. Many people say that training a major muscle group once per week is like eating a low-protein diet–both hurt your muscle growth. Increasing training frequency just to increase frequency won’t necessarily improve your results. Training everything 2 to 3 times per week isn’t necessarily better for gaining muscle. How frequently you can and should train each muscle group depends on the intensity (load) and volume (reps) of your individual workouts. The higher the volume and intensity of individual workouts, the less frequently you can do them. In other words, if you’re going to increase the intensity of your training, you have to decrease the volume. And if you decrease the intensity, you can increase the volume. The reason for this is heavy weightlifting–and especially heavy compound weightlifting–puts tremendous strain on the body. You can only do so much every week before running into issues related to overtraining. This is why a popular strength routines like Starting Strength and others have you squat and deadlift 2 to 3 times per week…but call for just 3 to 5 sets per workout. It emphasizes heavy, compound weightlifting wherever possible. It keeps you in a “sweet spot” in terms of total weekly sets (volume). Number one is fairly simple (exercise and rep range selection based on percentage of 1RM). Number two is a bit knotty because it’s hard to make a one-size-fits-all prescription. As you know, volume is necessarily modified by intensity, but there are other factors in play as well including diet, training experience, sleep hygiene, genetics, and more. That said, we can find guidance in the literature (and where it overlaps with the anecdotal evidence). A good place to start is a comprehensive review of weightlifting studies conducted by scientists at Goteborg University. They concluded that optimal volume appears to be in the range of 60 to 180 reps per major muscle group per per week when weights are in the range of 60 to 80% of 1RM. As you would suspect, the lower end of that rep range applies to heavier weights and the higher end to lighter weights. So, for example, if the majority of your sets were in the range of 80 to 85% of 1RM (as with my Bigger Leaner Stronger program), you’d want to be around 60 to 80 total reps per major muscle group per week. If you were using much lighter weights, though, you’d want your weekly volume for each major muscle group to approach the top end of about 180 reps.
And if you were doing something in the middle, like my Thinner Leaner Stronger program for women, which has you lifting moderately heavy weights (70 to 75% of 1RM), you’d want your total weekly reps per major muscle group to be somewhere in the middle as well. Another good paper to read on this subject is a large review conducted by researchers at Arizona State University, which came to very similar conclusions. When it comes to building muscle, training frequency isn’t as important as intensity and total weekly volume. In other words, working with heavy weights and hitting optimal weekly volume is more important than the number of workouts you do. Now, there is evidence that increasing frequency can increase hypertrophy, but we need more research to answer important questions and gain more perspective on these findings. On the surface it would seem that a total-body routine is superior to a one-muscle-per-week bro-split for building muscle. All of the muscles we investigated showed greater growth from a higher training frequency. For the biceps, these results were “statistically significant,” meaning that that there was a greater than 95% probability that results did not occur by chance. While results in the quads and triceps did not reach “significance,” other statistical measures indicate a pretty clear advantage for the higher frequency routine. These results would seem to be consistent with the time-course of protein synthesis, which lasts approximately 48 hours (there is even some evidence that the time course is truncated as one gains lifting experience). Theoretically, repeated spiking of protein synthesis after it ebbs would result in greater muscular gains over time. Before you jump the gun and ditch your split, a few things need to be considered when extrapolating results into practice. First and foremost, it’s important to remember that the study equated volume between conditions. This was done to isolate the effects of frequency on muscular adaptations – an essential strategy for determining causality. However, a primary benefit of a split routine is the ability to increase per-workout volume while affording ample recovery between sessions. Since there is a clear dose-response relationship between volume and hypertrophy, total weekly volume needs to be factored into the equation. Certainly it’s possible that a split routine with a higher weekly volume would have performed as well or even better than the total body routine. Or perhaps not. We simply don’t know based on the current literature. In addition, the vast majority of subjects in the study reported using a split routine as the basis of their usual workout programs, with muscles worked just once per week. This raises the possibility that the novelty factor of the total body routine influenced results. There is in fact some research showing that muscular adaptations are enhanced when program variables are altered outside of traditional norms. It’s therefore conceivable that participants in the total body group benefited from the unaccustomed stimulus of training more frequently. 1. There are pros and cons to every type of workout split. A well-designed body part split will outperform a poorly designed whole-body routine and vice versa. You want to chose the split and program that best fits your circumstances and needs, and you can learn more about this here. 2. We should think of frequency as a tool for reaching our target weekly volume. And not a non-negotiable aspect of muscle building (like progressive overload, for instance). Every word I’ve written and every studied I’ve linked ultimately mean nothing if you can’t use this article to get results. That’s why I want to end with a few workouts that will show you firsthand how all the pieces of this puzzle come together. Do one of those routines for the next 8 weeks and see how your body responds. If you’re happy with your results and want more, then you should check out my books, which give you a 360-degree understanding of building muscle and losing fat as well as a year’s worth of workouts. 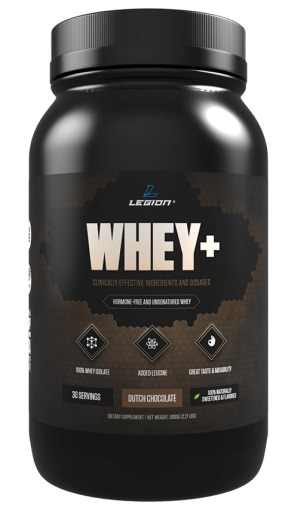 For the purpose of this article, let’s just quickly review the supplements that are going to help you get the most out of your workouts in general. As you can now see, the science of muscle building is fairly straightforward. Researchers will continue advancing our knowledge of the underlying mechanisms and how we can further optimize our results, but us “normal folk” that just want to be muscular, lean, and strong, have all the know-how we need readily available. If you follow the advice in this article, you can build achieve the vast majority of your genetic potential for muscle gain. 1. We should emphasize heavy weightlifting in our training. High-rep training has its uses but if you want to gain muscle as quickly as possible, you should focus on lifting weights in the 75%+ of 1RM range. 2. We should focus on multiple-joint compound exercises. Again, this deserves its own article, but a well-designed weightlifting program built around compound lifts will outperform one involving mainly isolation exercises. Every time. 3. We should ensure we’re progressing. Regardless of rep range or exercise selection or anything else, you must ensure you’re progressing over time. And that means gaining reps with given weights, which eventually allows you to add weight to the bar, gain reps with that new weight, and so forth. What’s your take on muscle hypertrophy? Have anything else to share? Let me know in the comments below!